Correction: Mozart’s father referred to his son as follows: “Wolfie has survived the smallpox…” I saw a copy of that letter translated and posted in a home where the family lived. Dear Mr. Carsell, Thank you for sharing this historical trivia! Where was the home in which you saw the letter? All Best Wishes and thank you for checking out Cultural Cocktail Hour! The house was in Prague. Bertramka Museum is the name of the “house” which is where Mozart stayed on his visits to Prague. (Google Mozart in Prague and you will see much information about the subject.) As much as anything else in the museum were numerous letters translated,framed and posted on the walls of the house. That was about 15 years ago and I’m sorry to say that according to the website the museum has been looted by other museums which is probably where that letter is at present. I don’t imagine it would have been left on the wall. I distinctly remember the translation of a copy of a handwritten letter, “Wolfie has survived the smallpox…”. The letter might have been two pages long but that sentence was a part of it. Surly others have seen it. The house was in Prague. Bertramka Museum is the name of the “house” which is where Mozart stayed on his visits to Prague. 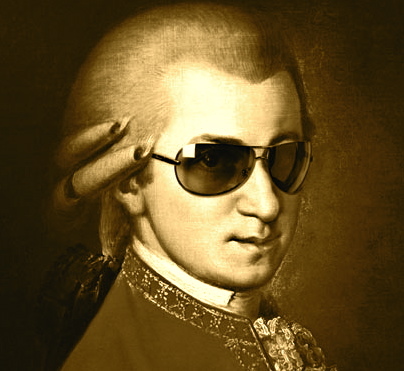 (Google Mozart in Prague and you will see much information about the subject.) As much as anything else in the museum were numerous letters translated,framed and posted on the walls of the house. That was about 15 years ago and I’m sorry to say that according to the website the museum has been looted by other museums which is probably where that letter is at present. I don’t imagine it would have been left on the wall. I distinctly remember the translation of a copy of a handwritten letter with the above sentence on it. The letter might have been two pages long but that sentence was a part of it. Surly others have seen it.